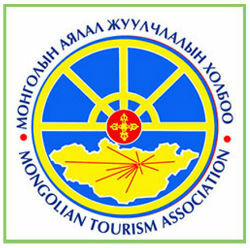 Join us on this epic Great Mongolia long tour through this wonderful country of ancient history, unique Mongolian nomadic culture, and rare wildlife species, untouched beautiful landscape, Gobi Desert and hospitable Mongolian people whose lives are not changed in many ways since the days of mighty Genghis Khan and his empire. This fantastic Mongolia trip is specially designed to bring you all these unique features nowhere else to be experienced. Surrounded by the Gobi Desert to the south, the Khangai mountain range to the east and the Great Lakes Depression to the west, Zavkhan province of central Mongolia is a unique and special landscape. We'll continue our expedition in Ulgii, Mongolia's westernmost city and home to Mongolia's Kazakh population. We'll spend some time to learn a little about the Kazakhs of Mongolia famed forholding on to the century old tradition of hunting with Golden Eagles. Our Great Mongolia long travel end of the 17th century magnificent Amarbayasgalant monastery, the outstanding Lake Huvsgul & the beautiful Horidol Saridag Mountains, Tsaatan people, picturesque Khorgo-Terkh National Park and ancient capital at Karakorum. The next half of the tour takes you to the Gobi Desert and its wonderful sites: Ongi monastery ruins, Bayanzag the Flaming Cliffs, the Khongor sand dunes and the glacial Yoliin Am. At the last leg of trip, we'll spend some leisure and fune time at amazing Gun-Galuut Nature Reserve - a home to endangered wildlife and many other sites on the way. Landscape and cultural sightseeing blend easily in Mongolia - you will have the chance to visit families of nomads, remote Buddhist monasteries and traditional events, and to take part in horse-riding or guided walking if you wish - there are also endless opportunities for photography. Southern Mongolia (7 days) A chance for you to try riding the 2 humped Bactrian camel amongst the huge sand dunes of Southern Mongolia. Central Mongolia (4 days) Visits to huge Buddhist Erdenezuu monastery, the symbolic ruins of the ancient capital Karakorum, and great extinct volcano area with White Lake. Drive to Telmen Lake (Mongolian: Тэлмэн нуур) is a saltwater lake in Zavkhan, Mongolia. Three islands are located in the lake, which is a gathering point for migratory birds. Drive to the Khyargas lake, 4th biggest lake in Mongolia, is located on the south of Khan Khuhiin Mountain Range. During the summer time, this lake is a very good place for swimming and sunbathing. A group of wonderful rocky cliffs with 20-25 m relative altitudes, called Khetsuu Khad, are on the south east shore some of them look like islands that give a wonderful view. Many birds gather in these cliffs. Drive to Khurgan lake and Khoton nuur has one Iceland which is covered by woods. The system of Khoton Nuur and Khurgan Nuur lakes, connected by a wide channel, is the source of the Hovd River which drains the whole Mongolian Altai. Lake Khoton Nuur was formed by glacial blockages. 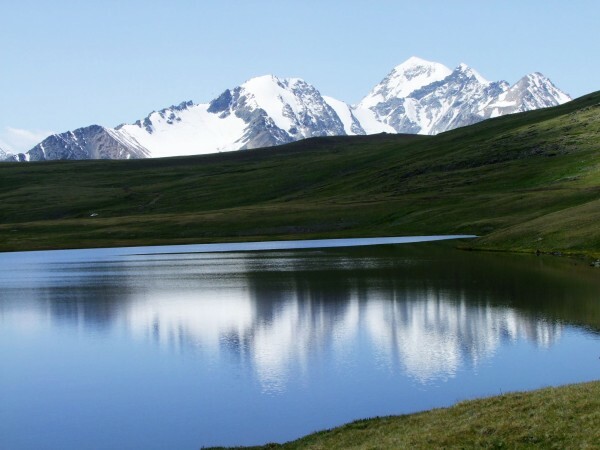 Khurgan nuur is the lowest point of Altai Tavan Bogd National park. Some fishes are in lake Khoton and lake Khurgan nuur. We will visit nomad Khazakh family, learn their lifestyle, fishing and big hiking at the beautiful two lake area. We will head to Altai Tavan Bogd National Park. This mountain is 200km long and 50-80km wide, has five high show peak. Tavan Bogd Mountain is glaciated and has permanent snow cover above 3100 m. There are 250 big and small glaciers which cover an area of 510 square km. Drive to Sagsai village, Bayan-Ulgii province. In western Mongolia, deep within the Altai mountain range, an ancient tradition of hunting with Golden Eagles is still alive. The Kazakhs of Mongolia train their eagles to hunt for rabbits and foxes. It is a fantastic opportunity for photographers and adventurers alike to see these magnificent birds up close, as well as Kazakh culture. After breakfast, drive to Uureg lake. This lake is a saltwater lake containing unidentified minerals. It is surrounded by 3,000m-plus peaks such as the Tsagaan Shuvuut Uul (3,496m) and is a great place for swimming, fishing and hiking. Drive to Uvs lake, Central Asian largest mineral lake appears like an inland sea. It is 84 km long and 79 km wide. The shoreline length is 425 km. The lake is surrounded by Buureg Deliin Els sand in east and southeast parts, and its other areas are surrounded rocky steppes, but there are also thick reeds around the end of flowing rivers and lake shores. Uvs lake Strictly Protected Area was established in 1993s including the areas of Uvs lake, Turgen mountain, Tsagaan Shuvuut Mountain, end of Torkhilog-Tes River and Buureg Deliin Sand. 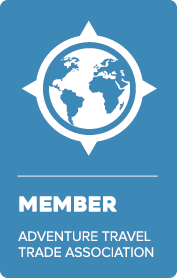 Due to the extreme climate (recorded winter temperatures of -570C and summer temperatures of over 400C) this area has been chosen for climate change research by international scientists. Drive to Altan Els (Golden Sand). Also known as Buureg Deliin Els sand dune is the northernmost sand massif, not only in Mongolia, but the world and it is 180 km in length and 40-45 km wide. The park offers a place of natural beauty with plenty of wildlife. Drive to Tsetserleg sum (village), Khuvsgul province. After breakfast we will visit local museum and 2m deer stone near the by Murun city. Then drive to Khuvsgul, the deepest and pure lake in Mongolia. You have a opportunity to hiking near the lake and forest for taking picture and flora & fauna of Khuvsgul lake area.